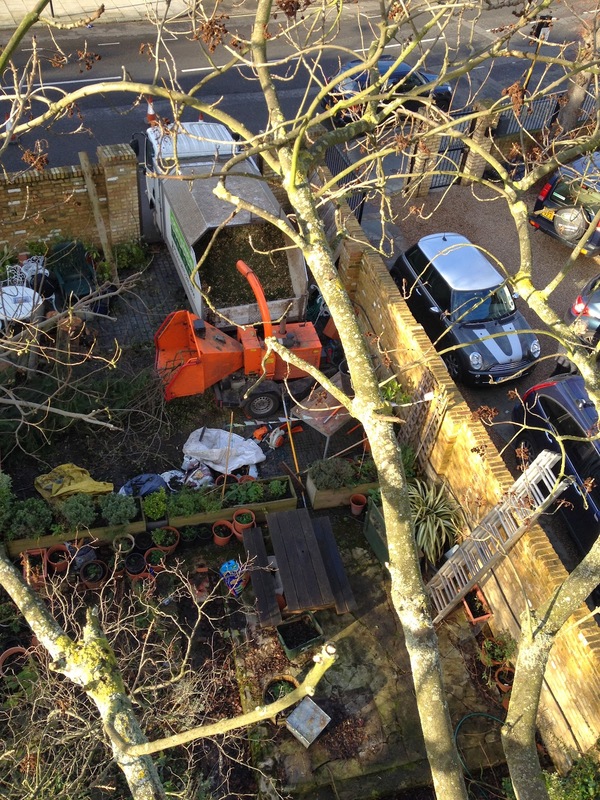 This was quite a tight garden to work in and there wash't space to have the truck and chipper in a line. 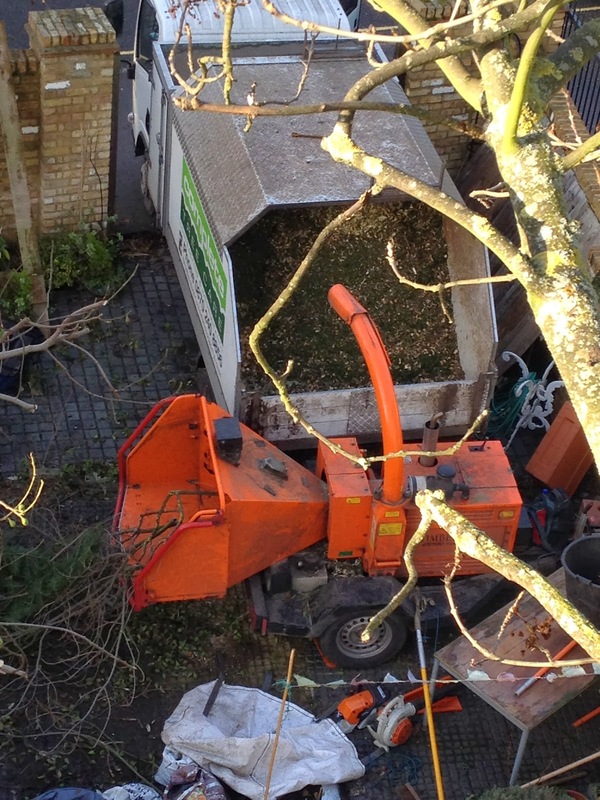 But by using it like this you can potentially have more space to stack brash, the chipper is closer to the truck so fires the chip further towards the back, meaning you get more in and less dust is blown about the place, saving the clear up at the end of the day. Not rocket science or revolutionary but definitely a time saver in certain situations.